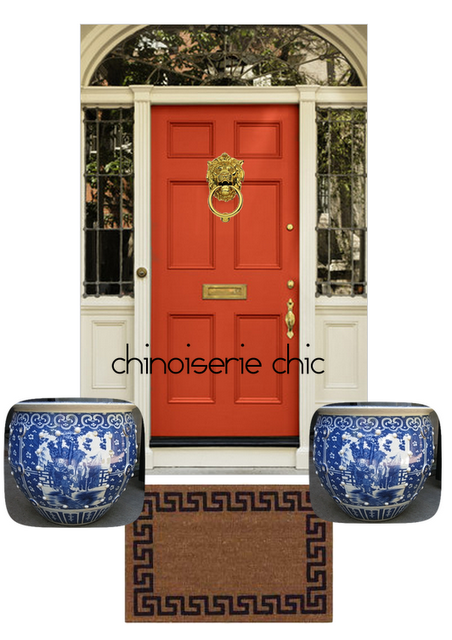 Chinoiserie Chic: The Chinoiserie Front Door - Glossy Black? 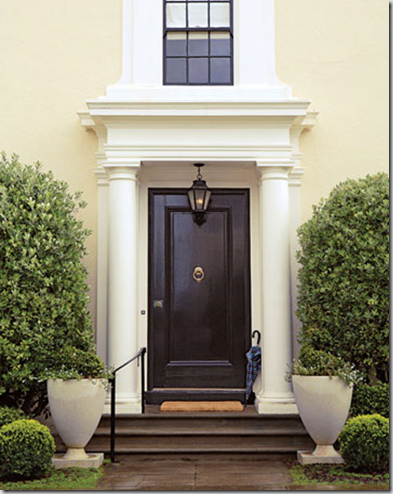 The Chinoiserie Front Door - Glossy Black? My house currently has black shutters and doors. I am having the house repainted this spring and have started playing around with ideas on any changes. Choice number one for my new front door color was coral. Here is the post. Another idea I have in mind is to stay with the black but use an ultra high gloss paint. 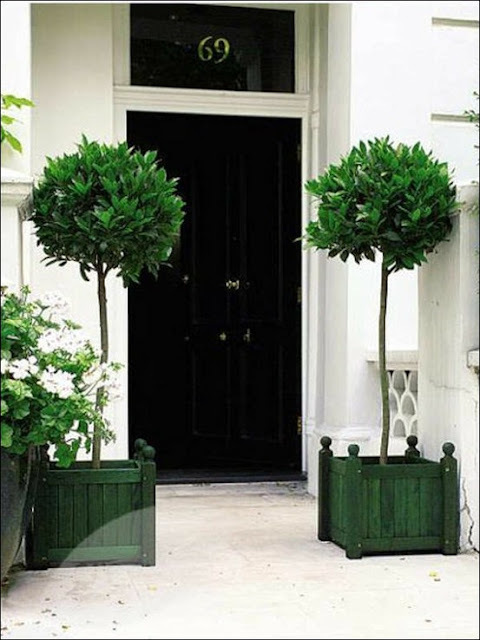 I love Hollandlac Brilliant for front doors. This marine grade paint is so glossy it is reflective like a mirror. It comes in a zillion colors, but in black it would look like black patent leather! 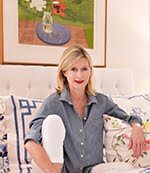 My favorite colors are in their Classic Euoropean Collection - if you have been to Europe and marveled at their gorgeous shiny doors, you know what I am referring to. Check out Tulip Red, Coach Green, and Navy Blue - such classics! 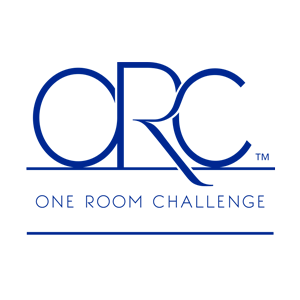 If you are looking to repaint your front door, check out this paint. 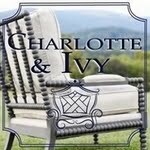 It will be the best $ you've ever spent on your home. 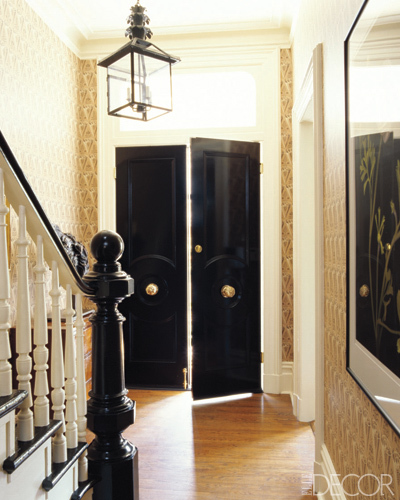 Here is my inspiration board for the front door painted in high gloss black with Chinoiserie touches in the top photo. Very formal and elegant. Extra credit for leaving a comment identifying the first door sans Chinoiserie. Update - Great job Brandon! 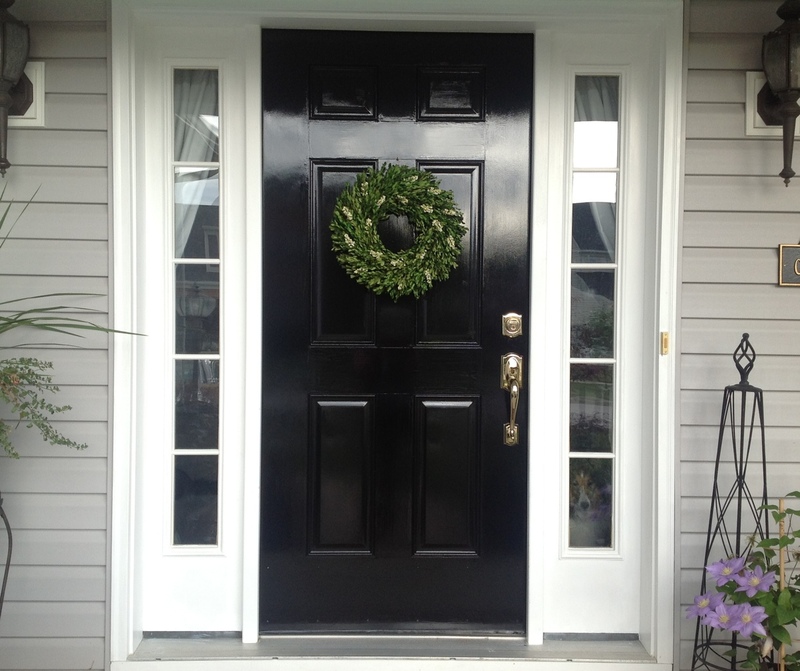 Glossy black on the inside of the front door is a hot trend - I just did this in my home and it looks fabulous! Beth, it's an easy one for me. A loyal (daily) follower from London knows it well... residence of the PM, 10 Downing Street! I love this super high gloss in black. Especially with gold. 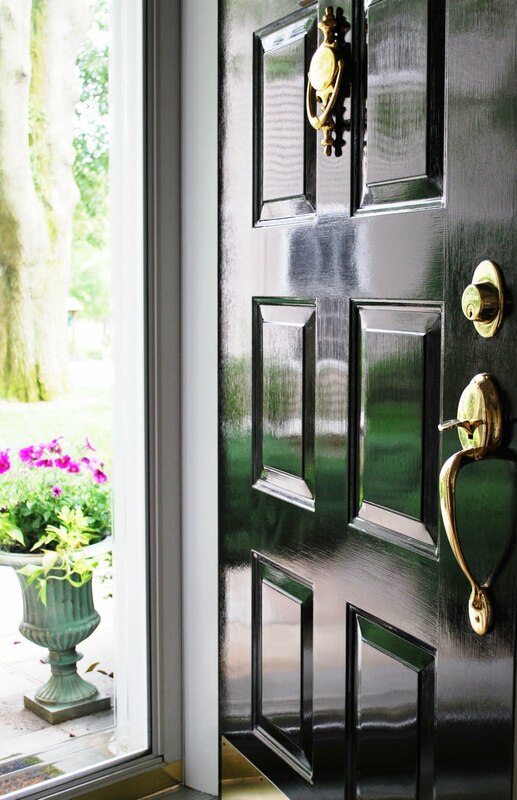 There are all sorts of articles about having your shutters a different color than your door. Love the high gloss black or coral. Now I want to do our door with that paint inside and out. 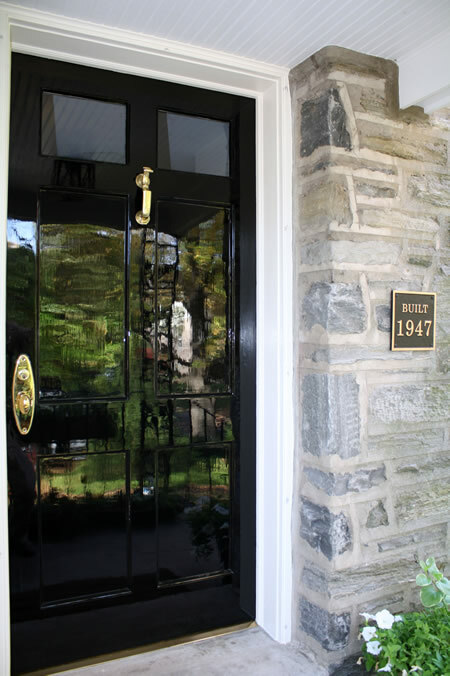 I am in need of a front door redo. 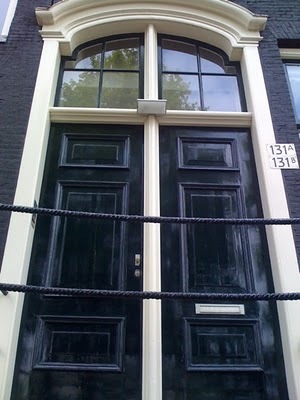 My husband just painted the shutters black and he wants the door to be black too. I was hoping for a color but maybe the super high gloss is the answer to please us both. I LOVE the high gloss black. It is so elegant with your chinois planters and gold accents! The high gloss elevates any rich color to another level!! Love these! Love this look. It makes a house look more sophisticated. love it with the blue and white pottery. The coral is nice, but I prefer the black. It is classier and will really set off your bricks. Love the gloss. Have been smitten with 10 Downing St. front door for years. I think the creamier white mentioned earlier with the glossy back would be stunning. While I considered it for my front and interior doors, I've been concerned about the paint being oil-based. After spending a winter removing the old oil paint on my interior doors, not sure I want to invest in oil since I think the long-term availability of oil paint in America might create a problem in the future because you can't paint latex over oil. Still in a quandary. 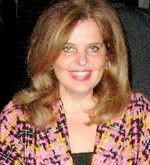 Having just turned 63, really long-term won't be a problem! Just know I know want these incompatibility problems in my lifetime. Do, love, love, love the blue and white the glossy black! Home Before Dark - I use water based indoors. Oil based is not a problem to get in exterior or quarts and oil based lasts indefinitely if stored properly. Yes, this is it, Beth! You will love a glossy black door with your "new" cream colored door surround. 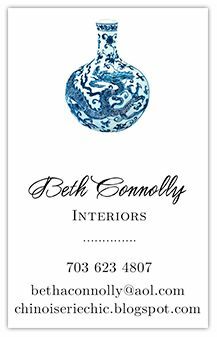 LOVE black, LOVE high gloss and the blue and white outside is the perfect crowning touch..soooo fabulous! Are you painting the brick a color or leaving it red? I'm painting my door this spring! 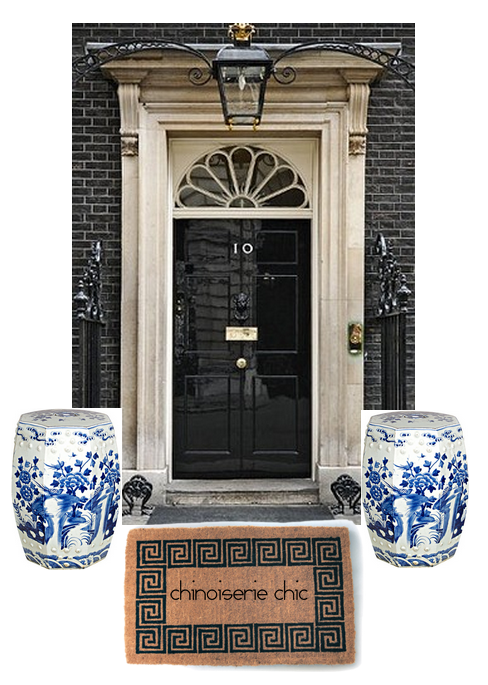 Too, and wanted to do the 10 Downing St effect...thanks for the marine paint tip! One thought I pondered was painting it Midnight Blue, where it looks black unless the sunlight hits it. Now I shall get some chinoiserie pots and glam it up! If I were you, I would go straight for the Coral for the new door color. 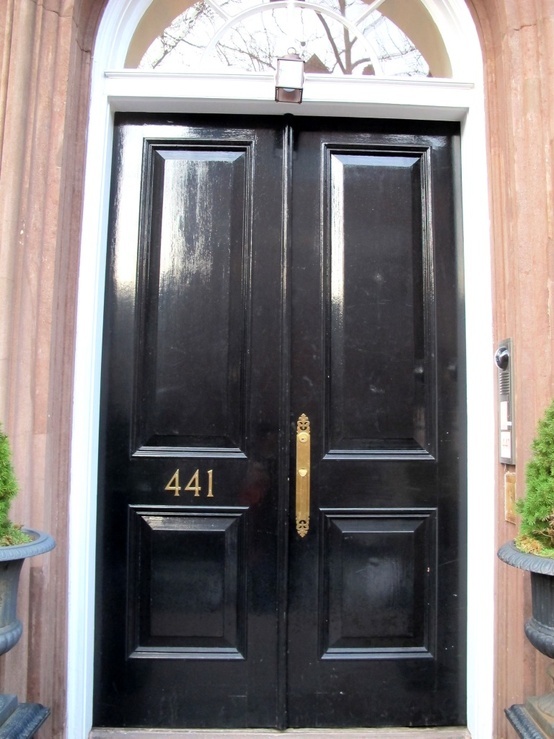 Some experts do advise against painting the door black, especially if the door is facing the west side. 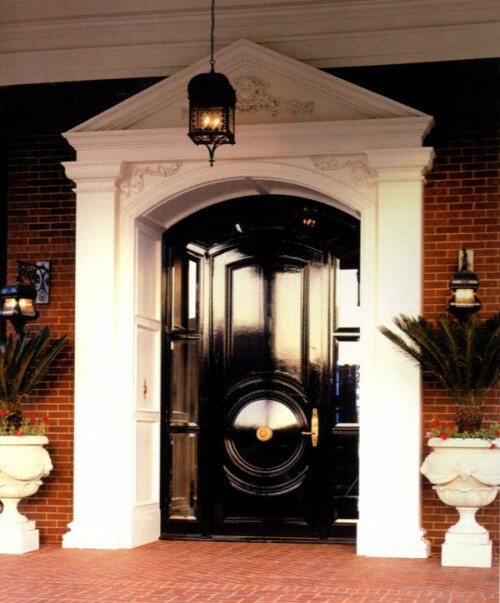 Black can absorb heat quickly, and that can cause the material of the door to buckle, warp, and crack. We have a black door on our residence, and it is a lot easier to decorate for holidays than the door we inherited when we bought our second home/retreat. It's Victorian, and the colors were approved by the previous owner. So we have a wild door and a nice black door. Black just looks classic. But I do like that coral you're eyeing. Oh, and I'm crazy about your faucet for the guest bath. And the paper, too. Hi Beth! 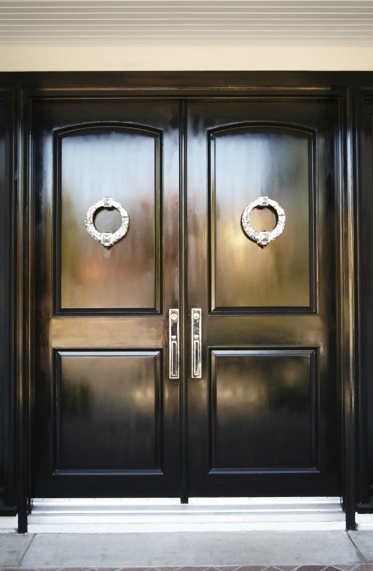 I just came across this post about high-gloss black front doors. I'm getting ready to paint mine (like NOW!). Can you recommend a few good blacks to use?